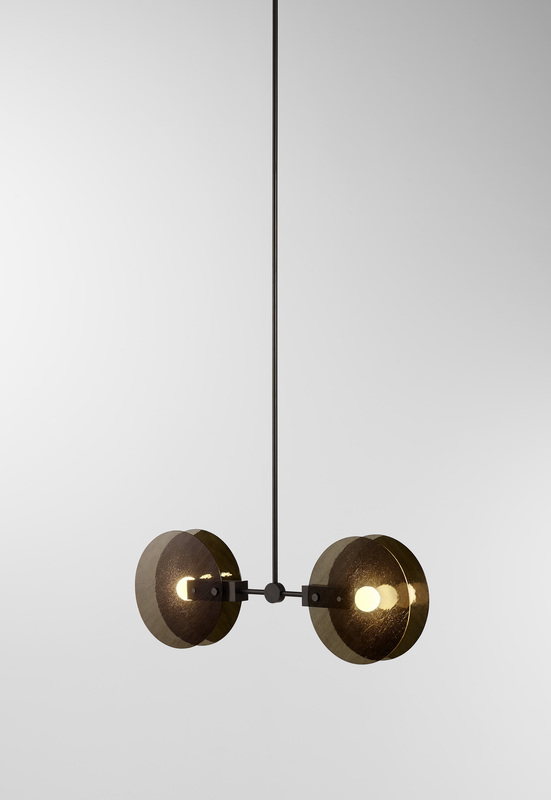 Ross Gardam will be previewing the new Nebulae lighting collection at ICFF in New York. The collection features chandeliers available in various configurations, a pendant, chandeliers and wall lights. 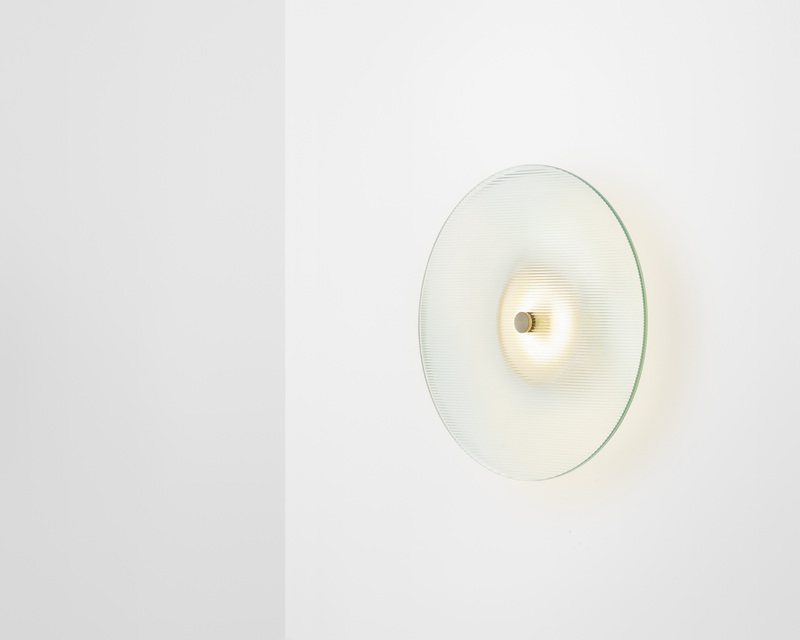 The Nebulae Collection is inspired by the diffusion of both natural and LED light. It takes its name from the natural phenomena of interstellar clouds and their dynamic layered lighting effects. 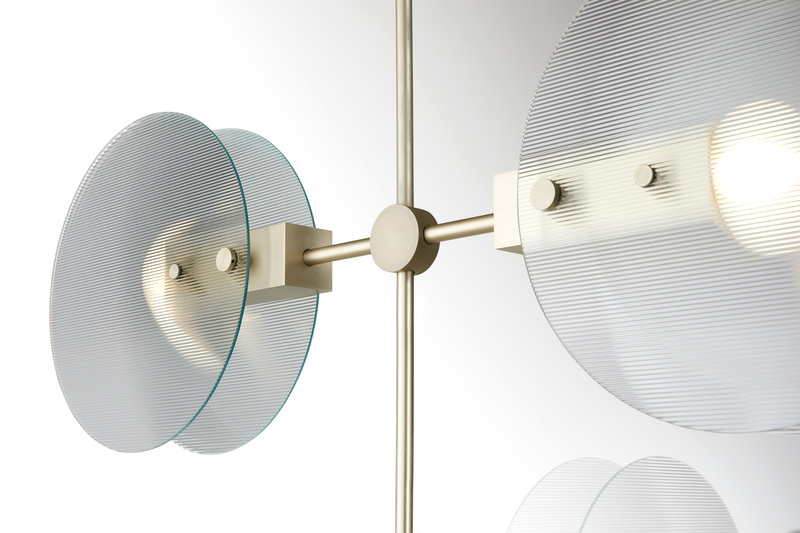 The geometric machined forms coupled with the fluid glass discs create balance between the elements. Nebulae’s exploration of diffused light is a natural progression from Gardam’s recent lighting collections, Ora and Polar, which explore light reflection and shade. The geometric language of the Polar Collection combined with precision nature of Ora can both be seen in the DNA of the Nebulae Collection. Each of the glass finishes selected within the collection embody unique textures, ripples, bubbles incandescents and geometric patterns. With the inclusion of light combined with the layering of glass the products represent a highly original exploration of diffusion. In signature style each of the new products has an exceptional quality, detailed refinement and precision. Ross GardamTM is an Australian furniture and lighting company established in 2007. Each product is handcrafted in Melbourne, Australia, by local artisans and makers. Pairing traditional craft techniques with high end manufacturing technology results in products which are elegant, accessible and made for today. All products are designed by Ross Gardam and are defined by a unique contemporary aesthetic. 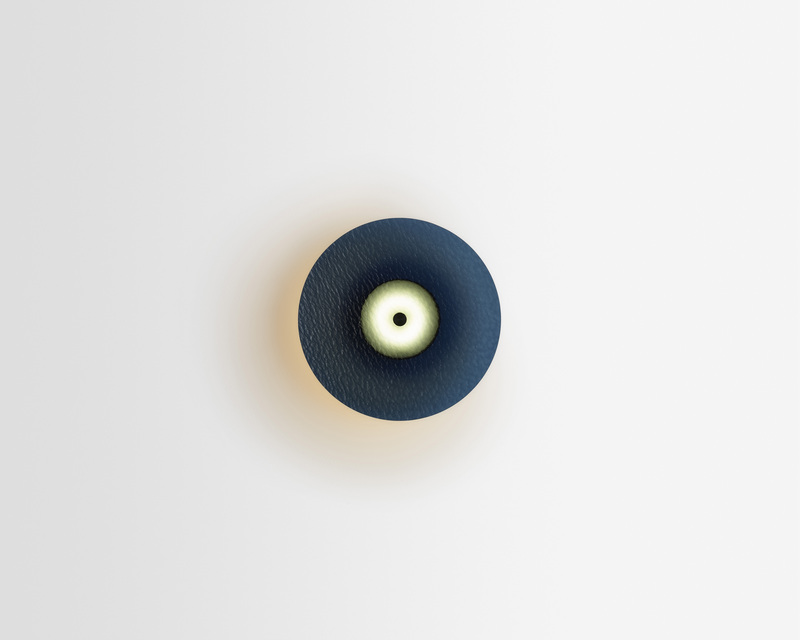 Ross Gardam has exhibited extensively internationally and won various awards including three Australian Good Design Awards.